This book! After getting nibble-sized bits and pieces of the not-so-secret crush Nathan Kattenberg had on Rebecca Rowley in the first three Brooklyn Bruisers, theirs was a story that fans and readers of the series have been clamoring for. But the series was meant as a trilogy...or at least, that's what I thought so. Silly me and all my fretting! Maybe the insistent public demand had Sarina Bowen caving, but when she announced that Nate and Becca were actually going to get their much-deserved time in the spotlight and a happily-ever-after to boot (because come on, these two SO had an HEA coming their way! ), I'm pretty sure I wasn't the only one who squeeed and did a happy dance (don't deny it, fellow Nate+Becca fangirls and fanboys!). And you know what? This book exceeded whatever expectations I had for it, and still has me wishing I had a Nate Kattenberg to call my own. 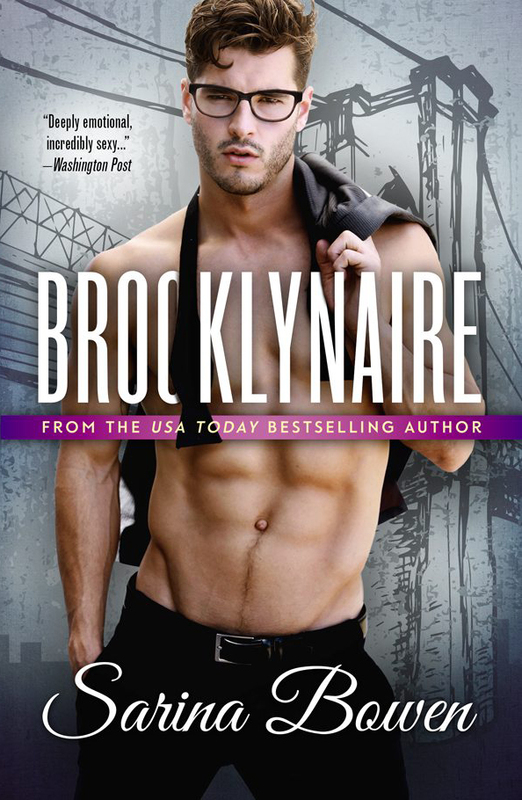 Brooklynaire is the fourth novel in the Brooklyn Bruisers series with some parts of the book overlapping with events that play out in the other books. The doesn't mean, though, that reading books one to three need to be read to fully enjoy this newest one. 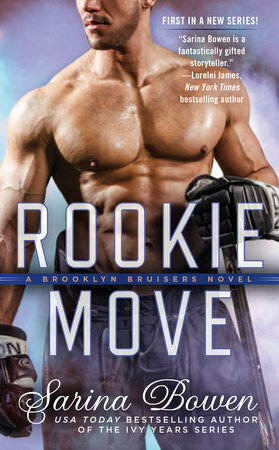 As a side note, however, I do recommend you check out Rookie Move, Hard Hitter, and Pipe Dreams, especially if you love hockey romances and if you were a fan of Bowen's Ivy Years series (Rookie Move is a spin-off of sorts, featuring familiar names from the series that launched the author's career. ), which also happens to be a personal favorite of mine. This isn't a short novel (it's listed as having 452 pages on Goodreads and has 5228 locations on Kindle), but time simply flew by while I was reading it, having finished in about three hours. It takes an extremely well-written and well-conceived novel for me to not even notice the time. Let me give you the basics, so that if you aren't familiar with Nate and Becca (HUWAAAT?! ), you'll at least have an idea of what their story is. Nate and Becca have worked together and been friends for seven years, with Becca having been Nate's personal assistant for five of those years before being tasked to become the office manager for Nate's then-newly acquired and relocated hockey team, the Brooklyn Bruisers, two years ago. She anticipates all his needs and wants...well, almost all of them save for one. Becca has no idea that Nate has had a thing for her a couple of years. It's not as if he can really do much about his feelings, and it's not as if Becca would ever reciprocate said feelings. Right? Everyone else seems to notice the very thing that Nate believe he's been keeping under wraps, but the person he wants most still has no clue. Until one concussion and one kiss changes everything. 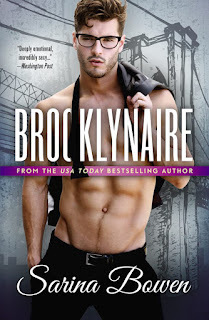 Purchase Brooklynaire on Amazon | B&N | iBooks | Kobo.